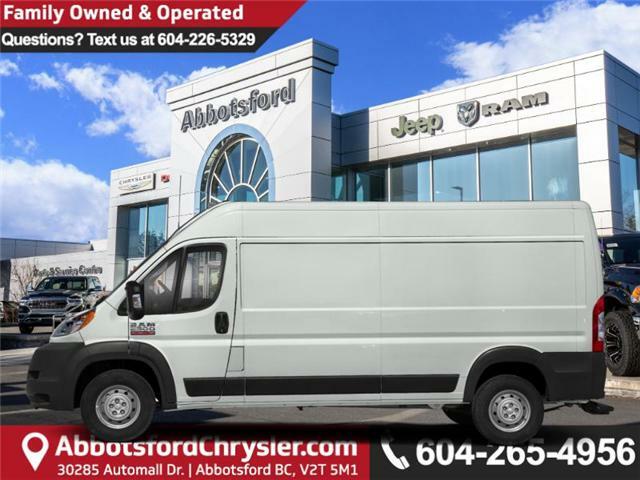 This trustworthy Ram ProMaster would make a great addition to your business. This bright white van has a 6 speed auto transmission and is powered by a 280HP 3.6L V6 Cylinder Engine. Our ProMaster's trim level is 1500 Low Roof 118" WB. This full-size van comes packed with work-ready features inside and out. Features include air conditioning, power door locks with remote keyless entry, power windows, and AM/FM/MP3 radio with four speakers, a remote USB port for charging your devices, tire pressure monitoring, electronic stability control, trailer sway control, electronic roll mitigation, and more. This vehicle has been upgraded with the following features: Air Conditioning, Power Windows, Power Doors. View the original window sticker for this vehicle with this url http://www.chrysler.com/hostd/windowsticker/getWindowStickerPdf.do?vin=3C6TRVDG5JE151505. * Every reasonable effort is made to ensure the accuracy of the information listed above. Vehicle pricing, incentives, options (including standard equipment), and technical specifications listed is for the 2018 RAM ProMaster 2500 High Roof may not match the exact vehicle displayed. Please confirm with a sales representative the accuracy of this information.